Jared Blong, past Chairman of the IADC Permian Basin Chapter, addressed the US House Subcommittee on Agriculture, Energy and Trade in June. IADC arranged the testimony, which addresses impediments facing the energy sector. 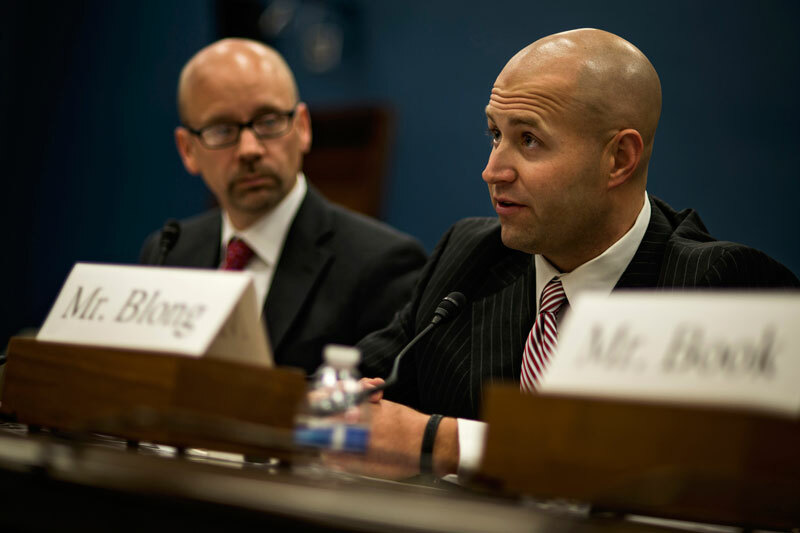 Jared Blong, CEO and President of Midland, Texas-based Octane Energy and past Chairman of the IADC Permian Basin Chapter, recently addressed the US House Committee on Small Business Subcommittee on Agriculture, Energy and Trade. IADC arranged the testimony. Witnesses at the subcommittee’s 26 June hearing, titled “The New Domestic Energy Paradigm: Downstream Challenges for Small Energy Businesses,” focused on the need to reduce impediments facing the energy sector and lift the ban on crude oil exports as a part of a comprehensive energy policy. The hearing examined the potential mismatch between the supplies of oil produced and the capacity of the refining sector to turn domestic crude oil into economically useful products. Committee members examined the impact this imbalance has on small businesses in the energy sector. IADC encourages members to participate in Congressional hearings. For more information, contact Bill Tanner, IADC VP of Policy, Government & Regulatory Affairs, at bill.tanner@iadc.org. IADC highlighted considerations to ensure responsible future drilling operations in the Arctic at the June meeting of the Arctic Council’s Task Force on Offshore Pollution Prevention (TFOPP). Steve Kropla, IADC Executive VP of Operational Integrity, provided the task force with details on the IADC HSE Case Guidelines and other IADC activities related to well control and training. He recommended that the group evaluate and continuously improve spill prevention technology, containment and response infrastructure specific to drilling in the Arctic environment. He also emphasized the importance of ensuring that a mechanism is in place to share oil spill prevention, containment and response technology on a global basis. The Arctic Council is a high-level intergovernmental forum that primarily addresses environmental protection and sustainable development issues in the Arctic region. The council is made up of representatives from Canada, Denmark, Finland, Iceland, Norway, Russia, Sweden and the US, as well as indigenous groups from various Arctic nations. Reporting to the Arctic Council, TFOPP is charged with identifying how the Arctic Council can contribute to marine oil pollution prevention in the Arctic by recommending a concrete plan of action and developing cooperative arrangements to implement the action plan. Among the group’s proposals discussed at the meeting, held in Ottawa, Canada, was the formation of an Arctic Regulators’ Forum, similar in purpose to the International Regulators’ Forum. Experts from the global drilling industry are invited to join the revitalization of the IADC Jackup Committee, led by Chairman Mike Dowdy, Rowan Companies. Among the projects the group is considering are standards and guidance for moving jackup rigs onto and off location and refinements of the ISO Jackup Site Assessment Standards. For more information about the committee and these projects, please contact Alan Spackman, VP of IADC’s Offshore Division, at alan.spackman@iadc.org. To RSVP for the next committee meeting, scheduled for 30 October at the IADC office in Houston, please contact Holly Shock, Committee Coordinator, at holly.shock@iadc.org. More information about the Jackup Committee can also be found online here. IADC held a European Operation Forum meeting in Brussels on 2 July. Representatives from the EU and Norwegian regulators participated, as did representatives from the EU Commission and drilling contractors working in the EU and Norway. The EU regulators offered presentations covering current issues, such as the NSOAF Audit Report and HSE’s KP4 initiative. The EU Commission representative discussed the current status of the EU Offshore Directive and common incident reporting format. Difference in requirement of size of helidecks in Norway and the rest of the North Sea. The staff representing IADC made presentations on new initiatives undertaken by the association. For more information about the European Operations Forum, please contact Jens Hoffmark, IADC Regional VP of European Operations, at jens.hoffmark@iadc.org. IADC has issued its latest Federal Regulatory Summary, available on the association’s website here. Released semi-annually, the report details federal regulatory actions that could impact onshore drilling. The 30 June edition includes updates related to the national fire codes, hydraulic fracturing on federal/Indian lands, combustible dust, process safety management and prevention of major chemical accidents, among other topics. For more information, please contact Rhett Winter, IADC Director of Onshore Operations, at rhett.winter@iadc.org. The Law on Spills in Mexican Maritime Zones (Ley de Vertimientos en las Zonas Marinas Mexicanas) came into force on 16 July. The law seeks to control and prevent pollution or alteration of the sea caused by spillages deposited in Mexican maritime zones, according to the zones governed under the Federal Sea Law. Specifically, the law will determine the events that will be regarded as spills or dumping in relation to ships (vessels), aircraft, platforms and other constructions or buildings. The re-suspension of sediment – consisting of the return of deposited sediment into a state of suspension in the water body – by any method or procedure that results in sedimentation. The implication of this law for drilling contractors is yet to be determined. The full text of the law, in Spanish, can be accessed here. The projects are being undertaken under the auspices of TC67/SC7. Persons interested in participating in the development of these standards should contact their national standards bodies. If you need assistance identifying your national standards body, please contact Alan Spackman, IADC VP of the Offshore Division, at alan.spackman@iadc.org. Songa Offshore: Songa Mercur (4). Unit Texas Drilling LLC: Rig 307 (2).